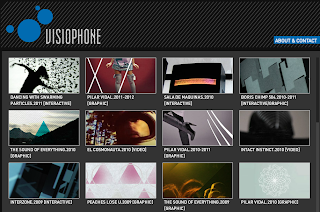 BORIS CHIMP 504 // MISSION TO THE MOON from visiophone on Vimeo. BORIS CHIMP 504 it�s an Audiovisual real time performance that emphasizes audio synthesis and graphical languages in a futuristic Sci-Fi aesthetics. It�s a real time interactive/reactive system between the audio and the image, between the man and the machine. His last communication was from the moon surface on the 7th of July of 1969. Cause of Death: Reportedly died on the lunar surface aboard Luna 15, surviving for a time after the landing..
Multidisciplinary visual designer, new media artist & researcher. Interested in the synergies between sound, movement and image.